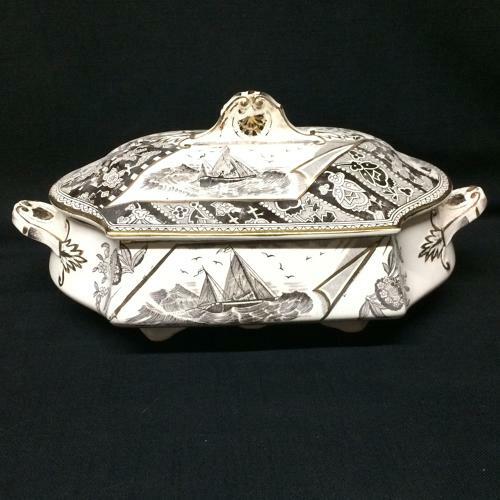 This Victorian aesthetic 13 " long x 7 " wide x 6 " tall covered tureen is transfer printed in very dark brown with gold luster highlights. The pattern features impressed handles with impressed seashells. Cartouches of tropical exotic flowers and spectacular rough ocean scenes with sailboats. By far, one of the best and rarest aesthetic pattern.